The U.S. Supreme Court recently issued a ruling that could have a dramatic impact on American retailers, and not only those who primarily operate on the Internet. In what has been called the Wayfair sales tax case, the court on June 21, 2 018 said that states can impose sales taxes on businesses even if they do not have a physical presence in the state. The ruling effectively overturns Quill Corp. v. North Dakota, which was a Supreme Court decision handed down in 1992. In that case, the court said that the Commerce Clause in the U.S. Constitution forbids states from imposing sales tax on companies without a physical presence. The court said that states could only impose sales tax on a company if it had an actual location in the state, or if it had another bright-line physical presence, such as in-state employees, inventory, or sales representative in the state. South Dakota abides by the Streamlined Sales and Use Tax Agreement, which reduces compliance and administrative costs associated with collecting sales tax. Essentially, the court allowed South Dakota to collect sales taxes from Internet retailers because its law did not place a significant burden on interstate commerce. Currently, 31 states have laws that impose sales taxes based on economic, as opposed to physical presence nexus standards. While it is possible that not all these laws pass the standard set by Wayfair, the court has now given them guidance toward making their laws constitutional. Furthermore, it can be expected that other states will impose similar laws in the future. On the federal level, there are two bills currently making their way through congress that will let states impose sales taxes on out-of-state entities. Both the Marketplace Fairness Act (MFA) and the Remote Transactions Parity Act (RTPA) allow states to collect sales taxes if they keep the process of paying the taxes simple. Because of the court’s decision, it is important for retailers selling into multiple states to understand in which states it has sales tax obligations, which will require it to both register and file taxes in these states. Fortunately, if your business operates in multiple states, you do not have to figure all this out by yourself. If you have questions regarding your sales tax filing requirements, please call 949-910-2727 or email info@cpa-wfy.com. The IRS began issuing Affordable Care Act penalty assessments in its Letter 226J tax notice in November 2017. These notices are being sent to employers who the IRS identified through its recently developed Affordable Care Act Compliance Validation System “ACV” System, as having failed to comply with the ACA’s employer mandate. So far, the IRS has issued more than 30,000 of these notices containing employer shared responsibility payments (ESRPs) assessments of more than $4.4 billion. Under the ACA, organizations with 50 or more full-time employees and full-time equivalent employees, are required to offer minimum essential coverage to at least 95% of their full-time workforce (and their dependents) whereby such coverage meets minimum value and is affordable for the employee or be subject to IRS 4980H penalties. These organizations are referred to by the IRS as applicable large employers (ALEs). According to the latest report from the Treasury Inspector General for Tax Administration (TIGTA), the IRS identified 318,296 organizations that qualified as ALEs for 2015. 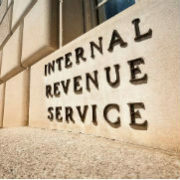 Of that amount, TIGTA reports that 49,259 are at risk for compliance action by the IRS. Employers who have not yet received a Letter 226J penalty notice for 2015 should not breathe a sigh of relief yet. There are still more Letter 226J penalty notices to be issued for 2015. The TIGTA report also indicated that the IRS now has the data to begin the analysis to calculate the potential ESRPs for tax year 2016 to be issued to those ALEs determined not to be in compliance with the ACA. TIGTA reports that the IRS has spent over $2.8 million to improve the process for identifying, calculating, and processing ALEs who are not in compliance with the ESRP. As the IRS improves its ACA enforcement process, employers need to assess their potential risk of receiving IRS penalties for not complying with the ACA. We find many vendors are not providing clients with copies of their filed 1094-C, 1095C, and Receipt IDs provided by the IRS for the 2015-2017 tax years. Consider undertaking a spot audit of your IRS information filings for 2015, 2016 and 2017. We are providing this service at no cost to your business by working with First Capitol Consulting.